A view from near Bridgend, looking over to Bowmore as some of the thousands of Barnacle Geese wintering on Islay fly past. 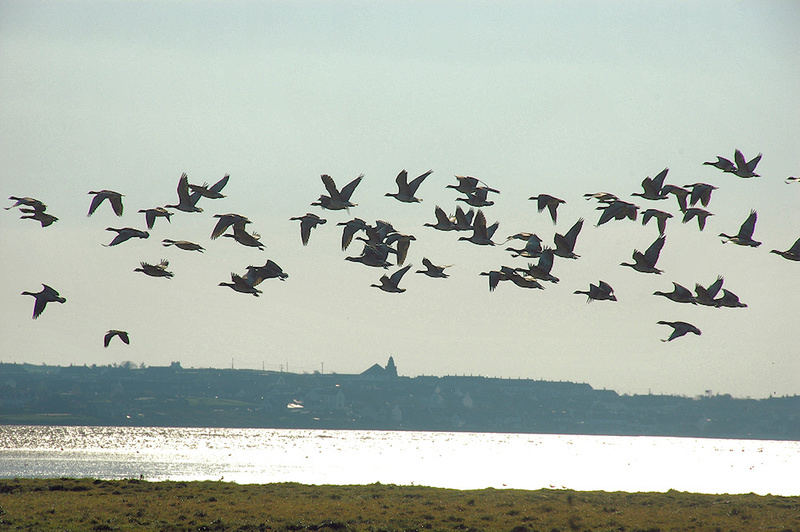 This entry was posted in Landscape, Repost, Sea Loch, Sunny Weather, Village, Wildlife and tagged Barnacle Geese, Bowmore, Bridgend, Islay, Loch Indaal by Armin Grewe. Bookmark the permalink.